June ... so often we think of brides, proms, graduations, and other special events. And when I think of special events especially for the girls in my life, I think of bling from The Buckle Boutique. Of course! Welcome! It's time again for my TBB Friday ... time to share just a few of the wonderful things I've made with the ingenious products of The Buckle Boutique. 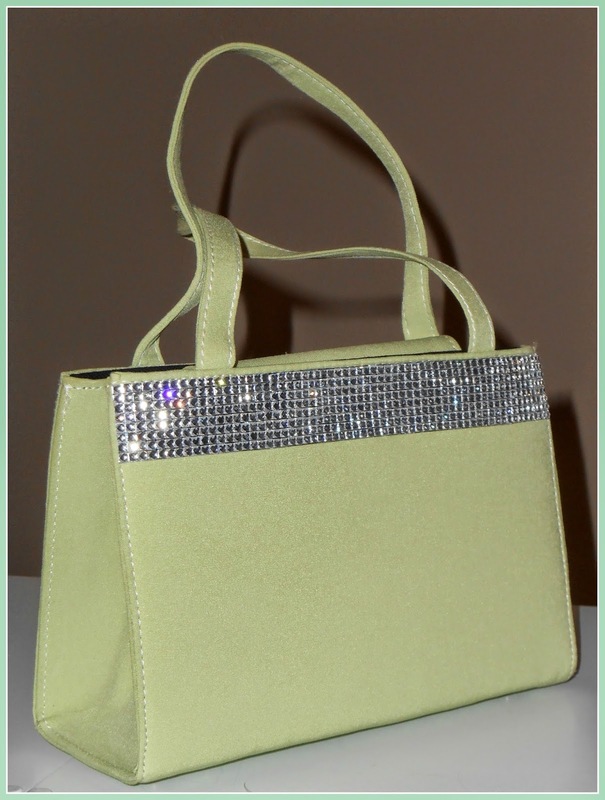 First up, let me show you how a cute celery-colored Kate Spade bag became extra special with a strip of self-adhesive rhinestone resins. 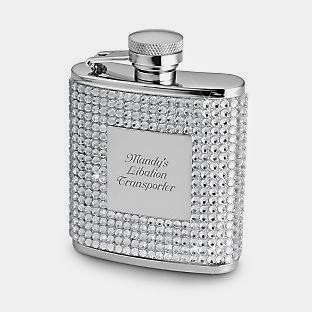 These "Dazzling Diamonds" are clear. Using standard scissors, I trimmed a strip approximately 1.5" wide for each of the two top edges of this handbag that I found for a "song" at my local thrift store. First, I wiped down the handbag to be sure it was clean and dust-free. After measuring and cutting the strip from the sheet, I peeled away the backing from the adhesive in the back of the cut sheet and adhered it to the top edges. I gently rubbed and voila! A purse fit for a Prom Queen! 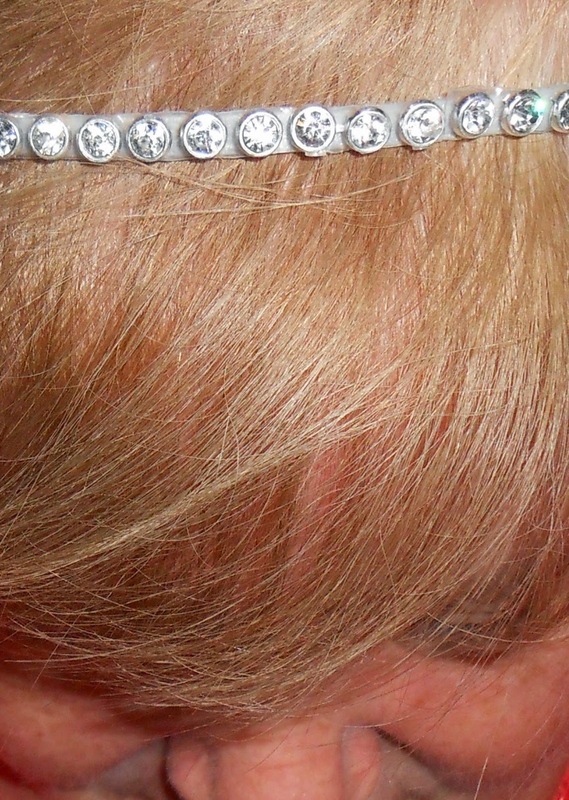 While I was dressing the "Queen," I also made this headband by adhering a row of sequined gems from my Buckle Boutique stash to a headband frame I got at Michael's. Now this particular gem strip has been discontinued -- but you should visit TBB's website regularly to see what unique bling they are carrying to see how to make your event even more special. 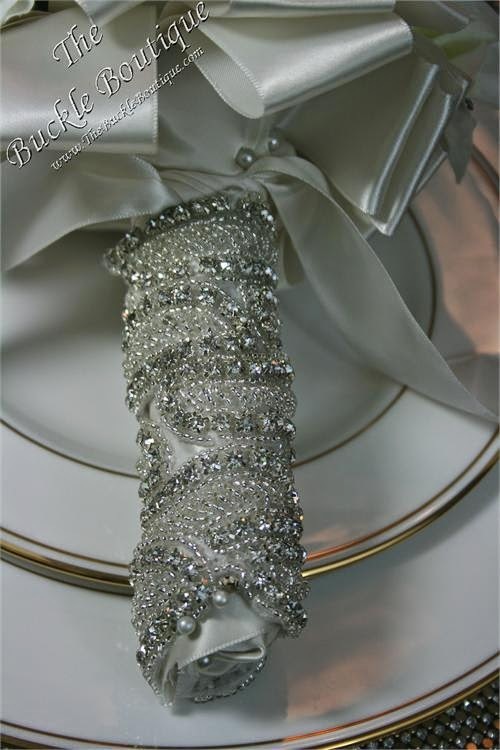 For example, take a look at this gorgeous bridal wrap that I found on their website (www.thebuckleboutique.com)! With bling from The Buckle Boutique, the starry-sky is the limit of your imagination!